I. INTRODUCTION Further to my undertaking to the Permanent Representatives’ Committee (PRC) on 7 March 2018, I am pleased to submit my first progress report on food safety in Africa, which was prepared by the Secretariat of the Partnership for Aflatoxin Control in Africa (PACA) of the Department of Rural Economy and Agriculture (DREA) of the Commission. The report covers issues pertaining to food safety challenges in Africa, the impact of aflatoxins and the related African Union (AU) efforts. The report also outlines a number of steps to be taken as a way forward, and concludes with observations. Further to my undertaking to the Permanent Representatives’ Committee (PRC) on 7 March 2018, I am pleased to submit my first progress report on food safety in Africa, which was prepared by the Secretariat of the Partnership for Aflatoxin Control in Africa (PACA) of the Department of Rural Economy and Agriculture (DREA) of the Commission. The report covers issues pertaining to food safety challenges in Africa, the impact of aflatoxins and the related African Union (AU) efforts. The report also outlines a number of steps to be taken as a way forward, and concludes with observations. Africa is reputed to be of the most food insecure continents in the world, a situation which threatens millions of vulnerable people. Whilst Member States have focused mostly on food production and sufficiency to ensure availability of food to their populations, food safety, food quality and nutrition have, overall, been given lesser priority until recent years. According to the World Health Organization (WHO), 91 million people in Africa fall ill each year due to food-borne diseases and 137,000 die of the same cause, representing one-third of the global death toll for foodborne diseases. Food safety risks not only pose significant threats to the health of the population, but also the competitiveness of African agriculture, undermining potential and actual gains to be made in improving public health, food security and nutrition, as well as thwarting efforts to boost trade in agricultural commodities. Such gains are the foundations of inclusive growth and sustainable development in the continent. Over the past decade, there has been increasing recognition that the quantity of food alone guarantees neither food security nor adequate nutrition as shown by hunger, malnutrition, and stunting facts. Contaminated foods impede food security efforts and maintain unacceptable status quo in terms of food insecurity, poverty and a range of health-related problems, making sustainable development more challenging. On the other hand, food safety has become an important precondition for access to global food markets and, increasingly, for high-value domestic markets in developing countries. Therefore, raising food safety and quality standards at par with the rest of the world is foundational to make African agriculture a competitive and vibrant sector that promotes trade and agribusiness. Addressing food safety is also crucial to achieve the integration agenda, including through the African Continental Free Trade Area (AfCFTA), in agricultural goods and services. Indeed, even with the best intentions and political will, non-tariff barriers, particularly technical barriers related to food safety/sanitary and phytosanitary measures, if not addressed proactively, will be obstacles to the implementation of the AfCFTA and to increased intra-African trade. Furthermore, without adequately addressing food safety issues, Africa will not be able to effectively attain the objectives set in the Declaration on the Comprehensive Africa Agriculture Development Programme (CAADP) and Commitment to Accelerate Agricultural Growth and Transformation for Shared Prosperity and Improved Livelihoods, adopted by the 23rd Ordinary Session of the Assembly of the Union held in Malabo, Equatorial Guinea, from 26 to 27 June 2014. Of particular relevance here are Commitment #3 on Ending Hunger in Africa by 2025; Commitment #4 on Poverty Reduction; Commitment #5 on Tripling Intra-African Trade in Agricultural Commodities and Services; and Commitment #6 on Enhancing Resilience of Livelihoods and Production Systems to Climate Variability and Related Risks. Given the wide array of food safety challenges, there is need to prioritize interventions in order to achieve meaningful results. The Commission has, therefore, focused its efforts on aflatoxin control, as one of the most pervasive food safety challenges in Africa, by establishing the PACA. Food safety agenda setting at continental and global levels, evidence-driven policy developments, prioritization of food safety and inclusion thereof in national and regional strategies, as well as improvements in food control systems through PACA’s work, lay the foundation for a continental approach to food safety coordination. As indicated above, aflatoxins are one of the most pervasive food safety problems in Africa. Indeed, they affect multiple staple and cash crops, such as maize, groundnuts, sorghum and many others. Aflatoxins prevent African farmers from accessing regional and international markets as products fail to meet the required standards. Annually, Africa loses an estimated US$670 million in export trade alone due to aflatoxin contamination. This figure is a conservative estimate; it is likely that the loss incurred is much higher. Aflatoxins also have adverse effects on animal and human health, causing 30% of all liver cancer in the world, with the highest incidence (over 40%) occurring in Africa. Aflatoxins have also been linked to immune-suppression and childhood stunting. Furthermore, several African countries have witnessed increasing outbreaks of acute aflatoxin poisoning, leading to tragic loss of human life. For example, Kenya experienced 125 deaths from 317 cases of aflatoxicosis in 2004; and, in 2016, an aflatoxin outbreak in Tanzania caused 19 deaths out of 65 hospitalized people. According to the Rapid Alert System for Food and Feed (RASFF) portal of the European Union (EU), aflatoxin contaminated produce contribute the largest percentage of agricultural commodities rejected by the EU. A study commissioned by PACA in The Gambia, Malawi, Nigeria, Tanzania, Senegal and Uganda revealed significant losses in terms of human health and trade. Between 1980 and 2016, a total of 389 Nigerian agricultural export shipments were rejected or seized by the EU, with 39% of these due to aflatoxin contamination. The study in Uganda also showed that the total annual export loss due to aflatoxins is close to an estimated US$38 million. In addition, a biomarker study on aflatoxin exposure in infants and young children in Tanzania has revealed that over 80% of infants and young children in Tabora, in Tanzania’s Western zone, Iringa, in the Southern Highland zone, and Kilimanjaro, in the Northern Highland zone, had aflatoxins in their blood. Aflatoxins have thus proven to be a major developmental challenge to the African continent, affecting trade and contributing to ill health in Africa. Unfortunately, awareness levels in African countries are also very low. For example, the above mentioned PACA study found that between 70-80 % of crop and livestock farmers, processors, traders, feedstuff sellers and even consumers in Nigeria have never heard about aflatoxins, and over 90% don’t know of the impact of aflatoxins on human and animal health. This low level of awareness is common in many African countries. Given the devastating nature of aflatoxin and the need for comprehensive solutions, aflatoxin control could serve as the embryo to the broader efforts by the AU to mitigate, if not eradicate, food safety threats in Africa. The Commission launched PACA in October 2012 to support Member States and the Regional Economic Communities (RECs) in addressing the multi-sectoral challenges caused by aflatoxin contamination of staple food and cash crops. The establishment of PACA was approved by the Joint Conference of Ministers of Agriculture and Ministers of Trade in November 2012 and endorsed by the Executive Council through Decision. EX.CL/768 (XXII) adopted at its 22nd Ordinary Session held in Addis Ababa, Ethiopia, from 21 to 25 January 2013. Following a consultative process, PACA developed a ten-year strategy for the period 2013/2022, which identified five thematic areas to address aflatoxins in a holistic and systematic manner, namely: research and technology for prevention and control of aflatoxins; policies, legislation and standards for the management of aflatoxins; growing commerce and trade and protecting human health from aflatoxins; enhancing capacity for effective aflatoxin prevention and control; and public awareness, advocacy and communication. As part of the operationalization of PACA, the Commission set up a dedicated Secretariat in 2012/13. The PACA Secretariat has distinguished itself as a Center of Expertise for aflatoxin control in Africa and beyond. Working at continental, regional and national levels, the Secretariat has created a continent-wide comprehensive program on aflatoxin control, while addressing a broad array of solutions and actions on the ground. At regional level, the Secretariat worked with the RECs to develop Regional Aflatoxin Control Action Plans, with the view to increasing effective aflatoxin control along agricultural value chains, advocating for enabling policy environment, and harmonizing aflatoxin standards. At country level, the PACA Secretariat focuses on providing direct support to Member States, because they are central to controlling aflatoxin contamination and exposure. National Governments have a wider sphere of influence and greater ability to change behaviors and set priorities by enacting and enforcing policies, standards, and regulations; launching capacity building initiatives; and implementing awareness campaigns. The Commission put in place a number of mechanisms for the operationalization of PACA. In this respect, a Steering Committee comprising the RECs, African agribusiness, public health, smallholding farmers and technical organizations, as well as development partners, was constituted. The Steering Committee, under the leadership of the Commission, is the apex organ in the governance structure of PACA and provides strategic leadership and guidance for cross-sectoral approaches. The Secretariat also established the PACA Community, composed of individuals and organizations from across Africa and abroad, who have a stake in aflatoxin control, as a solid foundation for aflatoxin control in Africa. The Commission, through the PACA Secretariat, convenes a cross section of stakeholders in a Partnership Platform Meeting (PPM) every two years. The PACA PPM has proved to be an important platform to identify bottlenecks, solutions and partnerships for increased action in aflatoxin control. It has also became a premier event for advocacy and prioritization on food safety matters. The first meeting of the PPM took place in Addis Ababa, from 7 to 9 October 2014, while the second PPM was held in Entebbe, Uganda, from 11 to 13 October 2016, and opened by President Yoweri Museveni. Both meetings attracted a number of Ministers and other high-level policy and decision-makers, as well as around 200 other stakeholders, including experts and value chain practitioners. The 3rd PPM is scheduled to take place in October 2018. In the initial phase, the PACA Secretariat selected pilot regions and countries on which to focus its interventions for aflatoxin control. The objective is to render practical support to those pilot countries and regions, while also learning lessons from the ground, with a view to scaling up the approach used to other Member States. The criteria used for the selection of regions included the following: regions advanced in their free trade areas; regions with free trade area agreements covering a large number of countries affected by aflatoxins; and regions that have engaged in the development of regional action plans on aflatoxin. Country selection was based on a number of criteria, including the following: countries that have experienced aflatoxin epidemics or problems; countries with significant trade in aflatoxin sensitive foods/products; countries with less than three donor-funded large-scale interventions to mitigate aflatoxin; countries that have demonstrated the willingness to address aflatoxin and readiness for action; and countries that are in the post compact phase of CAADP. Based on these criteria and following a rigorous process, six countries (Malawi, Nigeria, Senegal Tanzania, The Gambia and Uganda) and four regions (East African Community - EAC, Economic Community of West African States - ECOWAS, Common Market for Eastern and Southern Africa - COMESA and Southern African Development Community - SADC) were selected, in close consultation with the RECs. Working closely with PACA, these Member States have prioritized aflatoxins by developing stakeholder- aligned aflatoxin control action plans that have been mainstreamed into their CAADP National Agriculture and Food Security Investment Plans (NAFSIPs). This approach has led to increased investment in food safety and aflatoxin control specifically. In Malawi, for example, where there is no food safety coordination system, the creation of a multi-stakeholder policy and technical platform in the form on a National Aflatoxin Technical Working Group and a Steering Committee has broken down silos in relation to food safety and led the Government of Malawi to bring together all concerned ministries that were dealing with elements of food safety in a disjointed manner to plan and organize an effective and coordinated nationwide food safety mechanism. The PACA Secretariat as secured Euro 1 million grant for Malawi, which the country is about to use for aflatoxin management in its groundnut value chains. Following the validation of the National Aflatoxin Control Aflatoxin Plan, which was developed with the support of PACA Secretariat, the Government of Senegal approved a budget of over US$1.6 million for 2018 for aflatoxin control activities. In Tanzania, the Secretariat supported the Government in initiating and developing a proposal for the Tanzania Initiative for Preventing Aflatoxin Contamination (TANIPAC), which has received a US$20 million grant for five years (2018-2022) from the Global Agriculture Food Security Program (GAFSP). Aflatoxin surveillance and capacity has been enhanced through the PACA Curated Africa Aflatoxin Information Management System (Africa-AIMS) in seven Member States, namely, Malawi, Nigeria, Senegal, Tanzania, The Gambia and Uganda, as well as Kenya. Additionally, the pilot countries, as well as Benin, Burkina Faso, Cameroon, Ghana, Kenya, Mali, Mozambique, Sudan, Zambia and Zimbabwe, have initiated aflatoxin control activities. The PACA Secretariat has also assisted the RECs to begin prioritizing aflatoxin control by developing programs and regional action planning workshops specifically addressing the aflatoxin challenge. ECOWAS and EAC have now endorsed their respective regional aflatoxin control action plans. COMESA has drafted a regional aflatoxin control action plan, while sub-regional research organizations, such as the West and Central African Council for Agricultural Research and Development (CORAF/WECARD), which is based in Dakar, Senegal, have started prioritizing aflatoxin control in their activities. Since its establishment, PACA has gained remarkable recognition as an Africa-led and Africa-based program. Its Secretariat has witnessed increased activities in direct support of the partnership initiatives and interest in collaborative work. Diverse stakeholders, including the private sector, research institutions, the health sector, farmer organizations and consumer organizations, to name but a few, are becoming aware of, and taking action on their own to manage, aflatoxin issues. Recently, the Commission signed a Memorandum of Understanding with a major private sector company, Mars Incorporated, to work together in the area of aflatoxin control in Africa. In 2017, Mars Inc. supported PACA’s evidence-generation work to the tune of US$ 100,000. Agreements have also been concluded with other entities, including the United States Department of Agriculture, which provided USD 150,000 for a training workshop on sampling and testing protocols, as well as invaluable technical support, and Nestlé on food safety issues. Mainstream media, including national TV stations and/or newspapers in Cameroon, Ethiopia, Kenya, Malawi, Nigeria, Senegal, Tanzania, Uganda, and The Gambia, have covered PACA events and aflatoxin related issues, offering opportune ways to increase public awareness, which is vital to reduce the public health burden. The Biennial Report tracks progress towards attaining the objectives of the Malabo Declaration through 43 indicators that are grouped into seven thematic areas of performance. 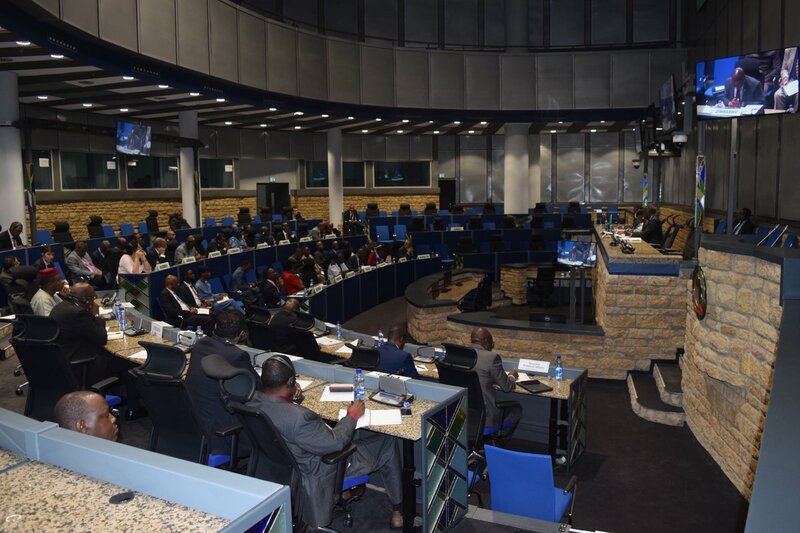 The first Biennial Report, which was presented to the 30th Ordinary Session of the Assembly of the Union held on 28 and 29 January 2018, provided a starting point for tracking progress towards attaining the Malabo Declaration, while the second Biennial Report, which is expected in January 2020, will refine the data collection and reporting process and include additional indicators to track emerging issues affecting the attainment of Malabo Declaration objectives that were not included in the Inaugural Biennial Report. The Commission, therefore, intends to include in the next Biennial Reports pertinent food safety indicator(s) as an emerging issue. Continental tracking of improvements in food safety can help sustain impactful interventions. As indicated above, the Commission is planning to convene its next PACA PPM in October 2018. This event will come at a critical time marked by renewed advocacy for increased food safety measures to protect human life and increase intra-Africa and international trade of agricultural commodities. The widespread occurrence of aflatoxins is undermining the achievement of continental commitments, including ending hunger and tripling inter-Africa trade in agricultural commodities and services. Aflatoxin continues to cause huge post-harvest losses in many crops, further contributing to food insecurity. The PACA country-planning approach is believed to effect positive changes in aflatoxin control at national level and drive continental control on food safety. Accordingly, the 3rd PACA PPM will focus on scaling-up the aflatoxin control approach used in pilot countries. The meeting will look at the successes and challenges of the country planning process in the pilot countries and at ways to scale up this approach to other Member States and monitor progress. In May 2016, the Commission proposed to the Director-Generals of the Food and Agriculture Organization (FAO) and WHO to convene an International Food Safety Conference. In October 2017, the FAO Director-General announced that this Conference would be convened in the first trimester of 2019. 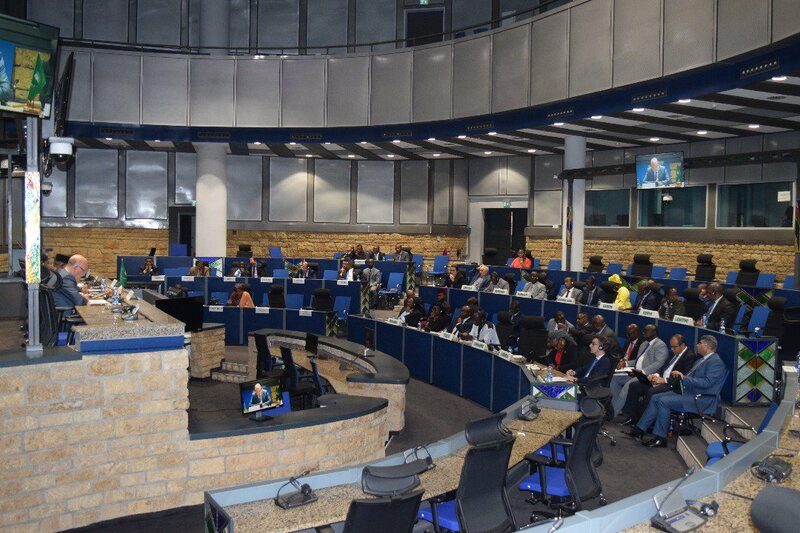 On 22 January 2018, I sent a letter to the Director-Generals of FAO and WHO to reiterate the Commission’s offer to host the Conference at its headquarters in Addis Ababa, stressing the heavy burden of food safety challenges on the African population and economies and the urgency to spur coordination. I, therefore, urge the PRC to provide political and financial support to this collaborative initiative. In 2016-2017, the Commission proposed to mainstream PACA as a specialized technical organization (STO) focusing on food safety and nutrition, under the Department of Rural Economy and Agriculture, like the Inter-African Bureau on Animal Resources (IBAR) or the Pan-African Tsetse and Trypanosomiasis Eradication Campaign (PATTEC). I, therefore, encourage the PRC to examine favorably this recommendation in order to enhance the work of the PACA Secretariat, which has achieved remarkable progress in assisting Member States and the RECs in adequately addressing food safety issues within the short period of its existence. Efforts to control aflatoxins and ensure food safety in general require significant amount of resources. Over the past few years, the PACA program has been mostly funded by the Bill and Melinda Gates Foundation (BMGF) and other partners. In PACA Phase II (2017-2021), there is need for the AU to match the funding provided by the BMGF, which amounts to US$4 million for the period. I appeal to Member States to contribute financially and technically to the activities of PACA. In parallel, efforts are being made to moblilize further support from partners. In this respect, I took the opportunity during my meeting with former US Secretary of State Rex Tillerson, in Addis Ababa, on 8 March 2018, to advance collaborative work on food safety. In the joint communiqué issued following our meeting, we emphasized opportunities for enhanced collaboration through greater agricultural trade between the United States and Africa, including by harmonizing agricultural standards and building on ongoing safety standards efforts led by PACA. On 17 April 2018, I wrote to the President of the European Commission, Jean-Claude Juncker, to seek EU support and partnership in addressing aflatoxin contamination through PACA. Ensuring improved food safety conditions in Member States presents particular challenges due, largely, to a lack of relevant data. This lacuna is compounded by outdated, weak and dysfunctional regulatory systems, often a legacy of a previous era, which cannot respond to today’s needs for effective controls of the wide and constantly changing range of different food safety hazards present in the global market place. Regulatory deficiencies generally include weak surveillance and reporting systems; outdated food standards and regulations; underperforming existing institutions, with conflicting mandates; and absence of effective regulatory enforcement, which hampers uptake of technologies by farmers and value chain actors. strengthen engagement with the private sector and local producers to build consensus over the control measures that are put in place. I urge Member States to extend strong political support and adequate financial resources to ensure greater ownership of the efforts to address the issue of food safely, building on the commendable achievements made within the PACA framework. This is of vital importance for the well-being of the African people and the prosperity of the entire continent.